Myntra.com, India’s leading fashion and lifestyle e-commerce platform today has signed up Bollywood Heartthrob Ranveer Singh. Ranveer will endorse the most contemporary Jeanswear brand from Myntra.com – Roadster that demonstrates both style and performance. This association further marks the company’s focus on establishing itself as the fashion brand for young India. With over 650 products to choose from, Roadster offers Denim aficionados a stupendous range of stylish products for both men and women. 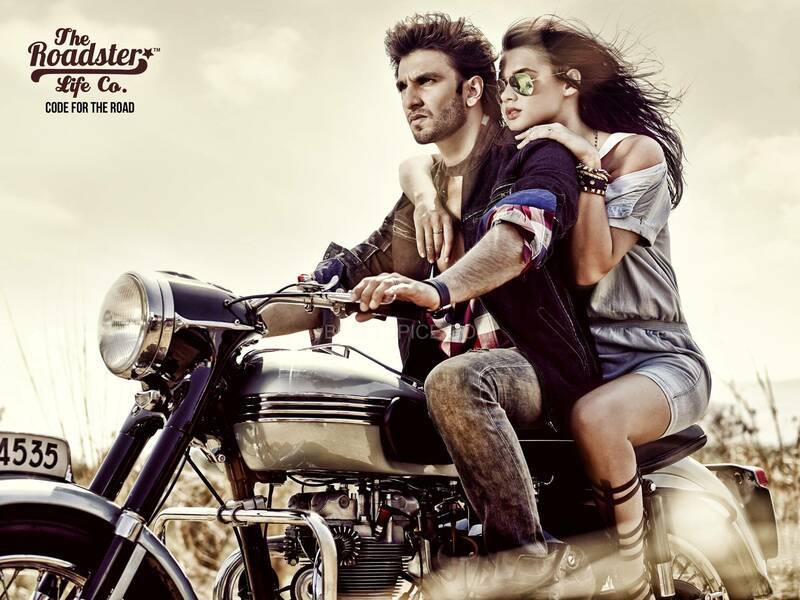 Roadster products are priced between INR 300 – INR 3,799 and are exclusively available on Myntra.com. Being a dominant player in the fashion ecommerce space, Myntra.com has a host of in-house labels in its portfolio, providing a wide array of selection to its shoppers. Apart from Roadster, brands such as Dressberry, Sher Singh, Mast & Harbour, Anouk, Kook n Keech and HRX by Hrithik Roshan, are designed, manufactured and retailed exclusively by Myntra.com. For further details, please visit Myntra Originals. Check out these pics of Ranveer! Myntra.com is among the leading e-commerce platforms in India for fashion and lifestyle products. Myntra.com has partnered with more than 650 leading fashion and lifestyle brands in the country such as Nike, Adidas, Puma, Lee, Levis, Arrow, HRX by Hrithik Roshan, Anita Dongre, Indian by Manish Arora, Biba, FabIndia and the likes to offer a wide range in latest branded fashion and lifestyle wear. With the largest in-season product catalogue, 100% authentic products, cash on delivery and 30 day returns and exchange policy, Myntra.com is today the preferred shopping destination in India.